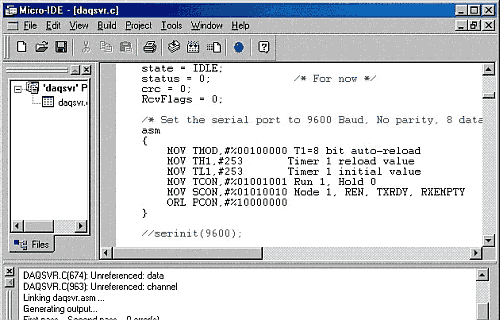 SDCC sdas and sdld, a retargettable assembler and linker, based on ASXXXX, is Free Open Source Software, distributed under GNU General Public License (GPL). a host of standard optimizations such as global sub expression elimination, loop optimizations (loop invariant, strength reduction of induction variables and loop reversing), constant folding and propagation, copy propagation, dead code elimination and jump tables for ‘switch’ statements. SDCC also comes with the source level debugger SDCDB, using the current version of Daniel’s s51 simulator. SDCC was written by Sandeep Dutta and released under a GPL license. Since its initial release there have been numerous bug fixes and improvements. As of December 1999, the code was moved to SourceForge where all the “users turned developers” can access the same source tree. SDCC is constantly being updated with all the users’ and developers’ input. AVR and gbz80 targets are no longer maintained.